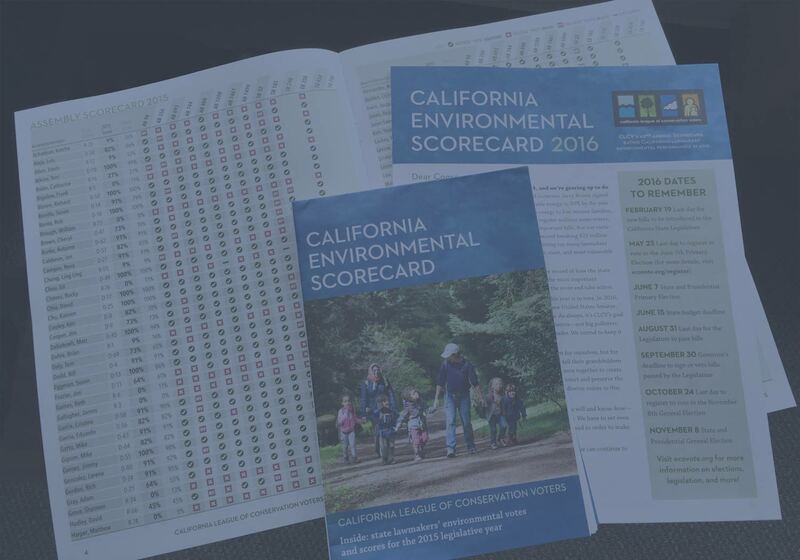 The California Environmental Scorecard is the signature publication of the California League of Conservation Voters (CLCV). 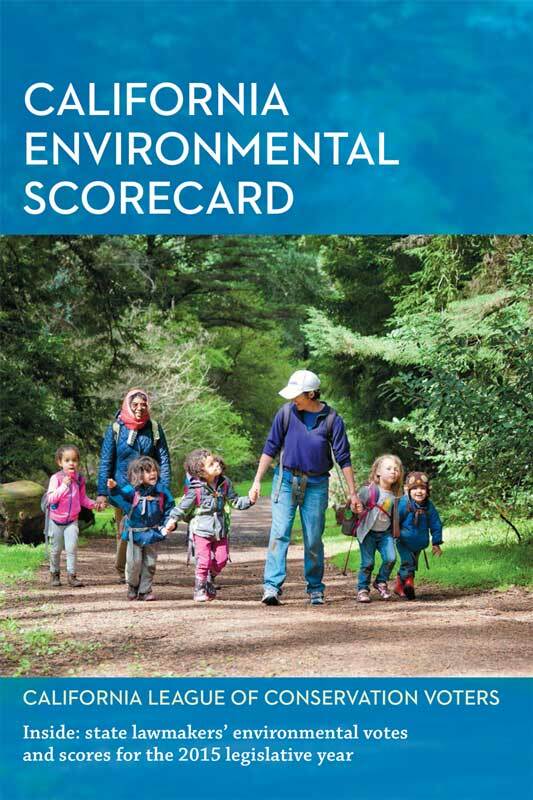 Published continuously since 1973, the Scorecard rates state legislators and the governor on their votes (or their signings and vetoes) on each year’s most important environmental legislation. I was involved with the production of the Scorecard from 2005 through 2016. Each year during that time, I gathered, organized, and created content for the Scorecard. Though responsibility for managing the project was shared, I served as project lead from 2005 through 2013. Between 2010 and 2015, I wrangled the vast array of content (scores, bills, votes, legislators, and issue areas) onto our Drupal website. My work on the Scorecard culminated in the spring of 2016, in which I designed the printed Scorecard, which is sent to CLCV donors, legislators, and our non-profit partners. I restored what I considered to be the key component of the Scorecard to the printed version: the detailed chart of the votes each lawmaker took on each bill. Insiders and legislators themselves want to see exactly which bills CLCV scored and to see lawmakers’ votes at a glance. While the average CLCV member may or may not pore over every line of the score chart, that person gets immediate visual confirmation of CLCV’s work to hold legislators accountable for their records, which is the point of the whole enterprise. I doubled the dimensions of the publication while keeping mailing costs steady by adding an extra fold and a “two-cover” strategy to maximize the likelihood of recipients opening the mailer. I created a slightly different version for the web PDF, knowing that people would either view it on-screen or print it on 8 1/2″ x 11″ paper.